Reminder: Chris Young and Lonestar Fan Club Parties On Sale Today 2/14 at 10 AM CST! 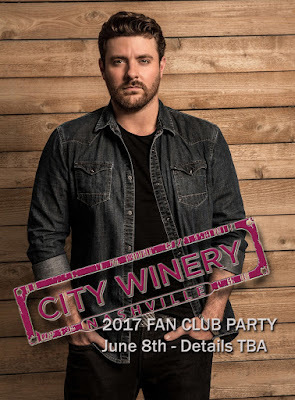 Chris Young has announced that his 2017 Fan Club Party will be held on at 9 AM on June 8th, 2017 at the City Winery in Nashville during CMA Fest week! This is a members only event that sells out quickly! Tickets on sale February 14th via email invitation only. Join his fan club ASAP to receive your invitation! You can join here.